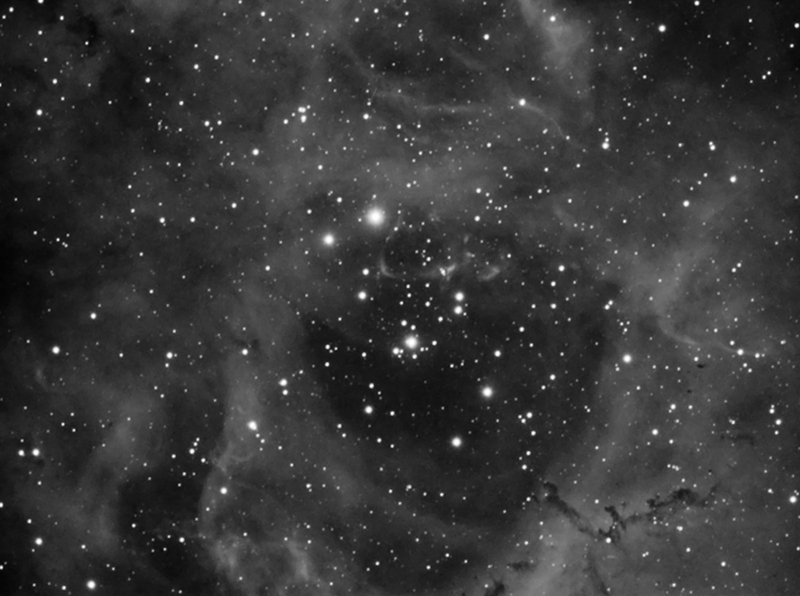 Comments: This was my first attempt at Rosette Nebula. It's hard to image from my garden due to trees etc. However, I started early and for first time in ages everything just seemed to work. Really pleased with result and one of my smoothest images to date. Image has been re-sampled to 900 pixels wide (I wouldn't normally be able to do this due to excessive noise). Image shows only central part of this fascinating nebula in the constellation of Monoceros.